Take a look at my Pinterest boards and at any given time you can see right away what designs and colors I'm craving for my home. Right now I'm all about lots of white, gray, and navy. 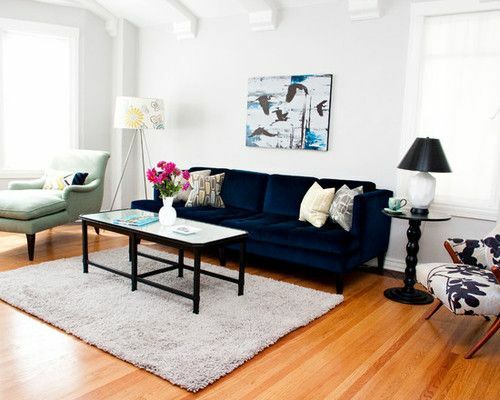 I'm especially finding myself drawn to living rooms with navy velvet sofas. Years ago I wanted one for our living room, and even after all this time I've still got them on my brain. 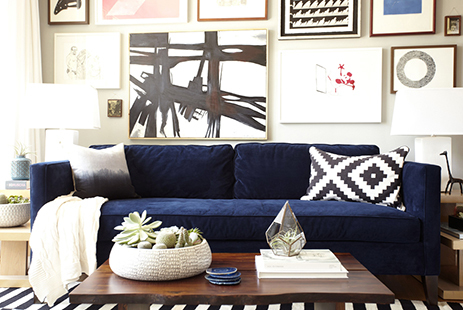 One of my all time favorite rooms by Bailey McCarthy features a to-die-for navy velvet sofa. 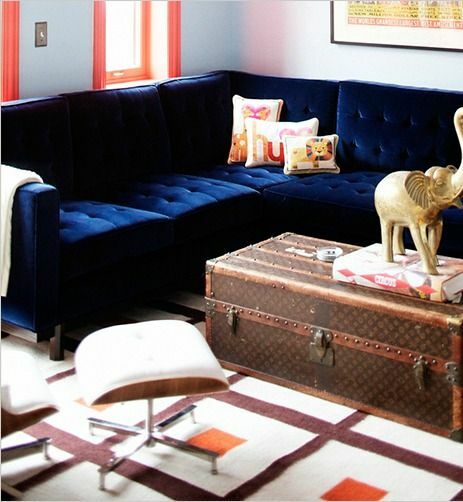 I absolutely love this combination with the coral window trim (sound familiar? ), and of course that fab vintage Louis trunk. Once it comes time to make our furniture plan, you bet I'll be scheming up a way I can incorporate one of these babies into our new home! forest green + a new "man cave"